The Origins of Silsden Band. It is thought that the Silsden Brass Band changed from a Pipe and Reed Band in the 1840’s into a Brass Band. In 1850 some of the band members joined the Royal Lancashire Militia which began a long association between the regiment and the band. Silsden Brass Band members were eventually allowed to proudly wear the distinctive white regimental tunics at public performances and band contests. The band continued to wear this style of uniform until the late 1920’s. At the outbreak of the Crimean War with Russia in 1854 nine members of the band enlisted for service abroad with the Royal Lancashire Military Band. They eventually left the Lancaster Headquarters of the regiment to travel out to the Ionian Islands. They embarked from Southampton; they called at Gibraltar, Malta and then on to their destination Corfu. After nearly three years the conflict was over and the bandsmen returned to Silsden and with them they brought the Regimental Bandmaster, Mr M Dowling who took charge of a re-formed Silsden Band. Early Days of Brass Band Competitions. In the mid nineteenth century brass band competitions were becoming more popular in England, partly because the railway system became more developed and people were able to travel more freely throughout the country. The brass band authorities realised that instrumentation and pitch had to be standardised in order to create a level playing field for contesting bands. With standardisation in place further restrictions started to come into force. The 1863 Crystal Palace Contest ruled that all bands were tuned to the pitch of the Crystal palace Organ. At the Belle Vue contest in the same year the organisers stated that all cornets must be in B flat. At about this time Silsden Band were competing in contests and under Dowling’s leadership the band was very successful in brass band competitions and in 1862 at The All England Brass Band Contest in Birmingham the band came fourth. At that time the prize money was £2 for this placing. The band went on to win prizes at both national and local band competitions in subsequent years. Silsden Bandsmen and the Travelling Menagerie. In Victorian times some of the Silsden bandsmen used their musical skills to play in the travelling menageries. These included Messrs. Wilson, Bottomley, Fortune, Driver and Longbottom. 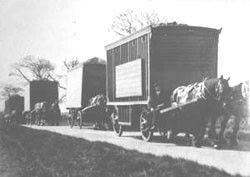 Travelling Menageries were very popular as a form of entertainment at that time and also had educational value for the general public who otherwise would never have had an opportunity to see wild animals. Fete and Band Contest – Aston Park, Birmingham. 4- 5th August 1862. (Silsden only took part on the second day). There is something about the words “Brass Band Contest” that is strikingly indicative of music gone mad. One sees the announcement plastered over all the walls in Birmingham, and straightway there is an idea formed of a wild clashing of brazen instruments – a great wrestling of sounds, as it were, each madly contending with the other. And yet, after all, the reality is quiet enough and orderly enough. Yesterday, indeed, the wind was wilder than the music. It caught off hats belonging to portly gentlemen, and whirled them amongst the flying dresses of the ladies; it played wicked tricks when the rain came with the weak umbrellas of young men who wear eye glasses; and while it seemed to blow asunder the very notes in cornet solos, and waft them away to a dim distance, it not unfrequently tore away the sheets of music from the stand, and sent them careering over the glades of the old park. At intervals, too, there were gusty showers, which drove the visitors in shoals into the refreshment rooms, under well-clad trees, and even beneath the boards of the temporary orchestras erected for the occasion. The weather being so unsettled, it was not surprising that there should have been fewer people present than on the previous day. Nevertheless, the bands who played for prizes rather than applause, acquitted themselves as well. Their selections, too, were equally well chosen. The second platform was occupied by the Sherwood Rangers, who, conducted by Mr. Lilley, played selections from “Robert le Diable” and “Ernani”; the Spon Lane Glassworks, who, conducted by Mr. Alexander, played a cavatina from “Anna Bolena” and a selection from “Martha”; the Cheltenham Amateur, who, conducted by Mr. Cooke, played a selection from “Melodique” and “La Fete des Lilas”; the Northampton Amateur, who, conducted by Mr. Ashton, played a selection from “Trovatore” and the overture from “Nabucodonosor”; Dodsworth’s Bradford, who, conducted by Mr. Dodsworth, played the overtures to “Maritana” and “Bressant”; and the Silsden, who, conducted on this occasion by Mr. Ogden, played a cavatina from “Ernani” and an aria from “Lucretia Borgia”. The six selected to-day were, the Matlock, the Silsden, the Heckmondwike, the Northampton, the Kirkburton Temperance, and Dodsworth’s Bradford Bands. Of these, the Heckmondwike received the first prize (£12 for band, and silver quaint cup, for band-master, value 14 guineas); the Northampton, the second prizo (£8 for band); Dodsworth’s Bradford, the third prize (£5 for band); and the Silsden, the fourth prize (£2, for band). Silsden Band Contesting at Ripon. Ripon Horticultural Show and Band Contest. Silsden Band came fourth at this contest winning a prize of £3. Marriner’s Band were first, Leyburn came second and Bramley were third. At the contest The Yorkshire Hussars Band disqualified themselves by introducing a clarinet in their instrumentation. The general level of playing at the contest was good. West Riding Artillery – Bramley. British Open Championships, Belle Vue. Prizes: 1st: £30; 2nd: £14; 3rd: £7; 4th: £4..10s..0d; 5th: £2. After the band had competed one of the judges Mr M J Riviere spoke to the Band Secretary enquiring about the arrangement the band had played as their own choice of music. After he was informed that it was written by Edward Newton, a Band Member, Mr Riviere spoke highly of his talent. They competed again in the British Open Championship in 1864 under the leadership of Mr T Whitehead, without success. In 1863 the Keighley Agricultural Show was celebrating its 21st Birthday. It was a very special event which took place on both Friday and Saturday in early September. Many attractions for the two day event were organised by the Peoples’ Gala Committee, the Temperance Society and the Horticultural Society. For the event the town was decorated in fine style, and many people had a public holiday over that period. All the organising groups had placed placards around the town announcing their attractions for the very special event. Keighley News 12th September 1863. The first placard was by the Temperance Society and announced in addition to the gala and concertina contest for Friday evening, a brass band contest and solo contest for Saturday to be held in two fields in Highfield Lane. W L Marriner Esq’s. Band, was promised both days. The second announcement came from the Peoples’ Gala Committee, and told of a grand gala and treble solo contest on Saturday, in the agricultural show field. The committee has secured the services of the Black Dyke Mills Band, the Saltaire Brass Band, the Saltaire Drum and Fyfe Band, and W L Marriner Esq’s. Juvenile Band. The last though not least attractive placard was the Horticultural Societies placards, which informed the inhabitants that they had secured the services of the Silsden Brass Band for Fridays floral fete and gala, and the Dewsbury Brass Band for Saturday, and also the services of Professor Scott of Leeds for a grand display of fireworks in the evening. But with the fullest preparations no arrangement could be made for having a fine day. Sanguine bodies however entertained that the weather on Friday would be continued, but as we have said, these hopes were disappointed. Many expectant ones when roused from the slumbers of the night, pulled aside their blinds to look upon the heavens, and found them full and heavy and there was little room for hope that the day would clear up. After eleven the clouds were more dense and soon after the rain began to fall, and never ceased for many minutes together till 7 o’clock in the evening. It was indeed and uninviting day to pleasure seekers, and especially when that pleasure was to be sought on the wet grass. It seemed a mockery for the different bands to promenade the streets calling the inhabitants to come out, while from behind the window panes they seemed to reply ‘don’t you wish you may get it?’ Notwithstanding the weather, however the Temperance Band and solo contest took place before comparatively few enthusiastic listeners. The contest was over soon after seven and by this time the weather had cleared up, and the evening was fine and hundreds flocked into the ground to enjoy a little fun after all. The bands remained a short time, and games were started. The lime light was again successfully shown. The following is a result of the Brass Band Contest. Craven Amateur, Silsden, First, Prize £10; Merrals Spring Head, Haworth, Second £6 and a splendid new gold metal cornet value £5..5s..0d which was presented by Mr Higham of Manchester, to the best band contesting who had never won a prize at any previous contest; Cross Hills third, £4; Bingley Rifle fourth £2. At the 1866 Keighley Agricultural Show Silsden Band were not represented at the contest, but the competition had been organised in a bizarre way. Of the two contests the first was a normal Brass Band Contest. The second contest was billed ‘A Piece At Sight’ the first prize being £20. The conditions for this contest were that a piece of music of moderated difficulty composed (expressly for the occasion and provided by the committee) should be played, the band being allowed ten minutes to read the music before playing it, the effort was spirit stirring and the proficiency of the performers now and then excited the applause of the crowds of listeners. An article based on the Keighley News report January 23rd 1875. In January eighteen seventy-five the band was engaged to play at an unusual event. This concerned local manufacturer Mr North Summerscales who was also a member of the Local Silsden Board. Mr Summerscales had been found guilty of an assault on his estranged daughter in-law by the Skipton Magistrates and was sentenced to three months in prison at Wakefield jail. Many members of the Local Board and local manufacturers were outraged at this sentence and sent a petition to the Home Secretary in Parliament. The petition was rejected and Mr Summerscales had to serve his sentence. On his release the Silsden worthies had decided to give him a hero’s welcome on his release. Two gentlemen from the town went to Wakefield prison on his release accompany him back. They eventually arrived at Steeton station by train to a welcome by many leading manufacturers and Silsden Board Members as well as members of the public. The Silsden Brass Band had been engaged for the occasion and they led a procession towards Silsden with wagonettes and spectators. They reached the Red Lion where Mr Summerscales and the party of friends alighted from the wagonettes at which time the band played ‘Home Sweet Home’. Mr Summerscales then proceeded to walk to his home in the village. Later Mr Summerscales was invited to a supper provided by the Local Board Members and leading manufacturers of the town where many speeches of tribute were paid to him. 1875 Keighley News February 6th Concert. – On Saturday last members of the Silsden brass Band gave a concert of vocal and instrumental music in the Primitive Methodist Old Chapel. The audience was large, there being upwards of six hundred persons present. The instrumentalists were the above band, and the vocalists were Mdlle. M E Sutton, soprano of the Free Trade Hall concerts Manchester, Mr Lot Hall, tenor of Keighley and Mr Rhodes, bass of Keighley, Mr W H Green of Silsden presided at the piano forte. The proceeds of the concert are to go towards purchasing new uniforms for the band. Keighley News May 1st 1875. Brass Band Supper – On Saturday last members of the Silsden Brass Band and other friends partook of an excellent supper in their practice room. Previously to doing so the band played through the town a piece composed by Mr E Newton entitled ‘The Sacred Gem’ introducing three of Mr Sankey’s song tunes. After supper some very good pieces were gone through in excellent style, and a pleasant evening was spent. Keighley News April 8th 1877. Silsden Brass Band was highly successful at the Great Horton Brass Band Contest last Saturday. Although there were only seventeen performers they had to compete with nineteen other bands in the ‘quickstep’, each of which had more than that number. On Monday morning by request the band played a programme of music in the presence of Mr Richard Smith of Hull, the musical publisher who was over at Silsden on a visit to Mr Newton the Bandmaster and at the conclusion that gentleman expressed great gratification at the excellent performance of the band. 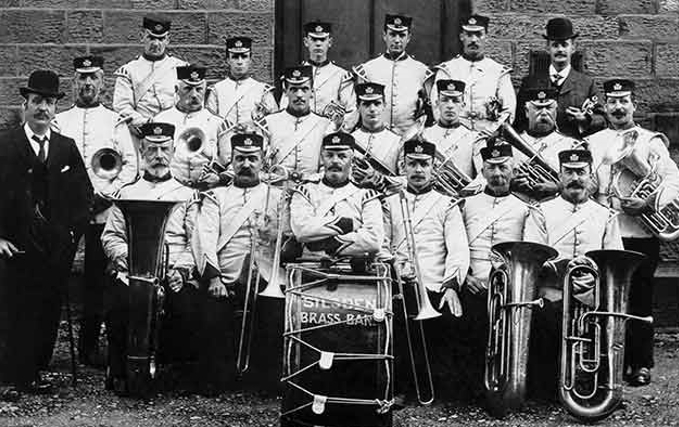 With the standardisation of instrumentation in bands it became necessary for brass bands to have their own music, until standardisation military music had been used. There was then an emergence of brass band music and publishing companies. Richard Smith started publishing his ‘Champion brass Band Journal’ in 1857, uniquely the journal offered original brass band music. Mr Smith, who was aware of Mr Newton’s musical talents paid Mr Newton a retaining fee for his musical compositions of which many were published in the journal. During his life time Edward Newton wrote over 400 pieces of music including marches, hymns and anthems. Concert by The Brass Band. Keighley News November 2nd 1878. On Saturday evening an attractive concert was given by Silsden Brass Band assisted by Mdile Marie Sutton of the London and other concerts. Mr D Cooper late of Carl Rosas Opera Company, and Mr Lot Hall tenor of Keighley. There was a good attendance and the proceeds of the entertainment are to be devoted to the band-room. The band conducted by Mr E Newton played a number of choice selections and accompanied some of the principal singers. Mr Hall was in one of his best moods giving very successfully Sullivans ‘Once Again’ taking part in a duet from ‘Maritana’ and in ‘Flow Gently Diva’. Mdile Sutton who appeared for the first time in Silsden her pure and sweet intonation taking well gave the well known songs ‘Should Le Up Braid’, Let Me Dream Again’, ‘ La Zingarella’ and ‘The Lost Chord’. Keighley News December 29th 1878. Silsden Brass Band. Once more this excellent band turned out on Christmas Day and Wednesday and Thursday and by the able manner in which they performed there appropriate selections of music contributed very largely towards making this season of the year a happy one. Keighley News February 2nd 1884. The annual supper of the Silsden Brass Band took place on Saturday in the Primitive Methodist Sunday School. About sixty persons sat down to an excellent tea provided by Mr Lund, Miss Hudson and Mrs Lund. The whole of the members of the band with their wives or some friend were present. Letters were received from Mr G S Taylor and Mr G Jacques expressing their regret at being unable to attend. The cloth having been removed, an interesting entertainment commenced. The Rev T Knowles MA presided and called upon the band to play ‘Beauties of Ireland’ after which the Chairman gave an interesting and practical address referring to Monre’s Irish Melodies, some of which were introduced into the piece so well played by the band. Mrs Florence Weatherhead sang ‘The Better Land’. The band gave a selection which was much applauded. Mr Sugden Lund followed with a song ‘The Carrier Dove’ which he sang well. Amusements were then indulged in, and oranges were handed to the audience. The band followed on with a valse, ‘The Silver Rhine’ by Meissler which was much appreciated. Mr Charles Driver sang ‘The Blacksmiths Son’, Miss Weatherhead presided at the harmonium. The brass band item was under the able conductorship of Mr E Newton. The whole night was an enjoyable affair. Silsden’s Musician’s Honour August 1884. Edward Newton of Silsden on his retirement from the position of Bandmaster in the first Royal Lancashire Militia was presented with a silver tankard at Fleetwood. He had been a member of the band for twenty five years and for half that time he held the position of Bandmaster. The Band Organise a Gala and Football competition. Keighley News April 11th 1885. On Good Friday a large number of people visited Howden Top to spend the afternoon. The Silsden Brass Band had arranged for a Gala and also for a Football Match at which some two thousand persons were present. There were eight entries. The first prize consisted of a dressing-bag for each player in the team winning the first prize. The second prize consisted of a football. The first prize was won by Manningham Rangers, and the second by Silsden Town. Keighley News November 21st 1885 page 4. On Saturday evening last a concert was given in Silsden Mechanical Institute to a good audience for the benefit of Mr James Spence who met with a serious misfortune while playing football at Ingrow a few weeks since. The performers were all of the village and included Miss D Green, Mr Wm. Berry, Miss Fanny Clarkson and Mr A Ambler, also a portion of the Silsden Brass Band played a number of glees. The whole of the performers acquitted themselves well and all their services being given, £7 was raised. Mr William Townson presided at the piano and Dr Purcell occupied the chair. Keighley News December 19th 1885 page 4. The weavers in the employ of Messrs John Knox & Co of Silsden were on Saturday provided with an excellent tea in the Bethsheeda Schoolroom by Mr E Wade towards the cost of which £3 was contributed by the firm, and £1 by Mr A Nicholson the owner of the premises. 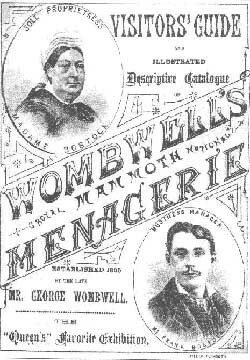 After tea they adjourned to the Mechanics Institute for an evening of entertainment. The Silsden Brass Band was in attendance and played choice selections of dance music. Songs were contributed by Mrs Wade, who sang nicely, but the principle interest was manifested in the songs rendered so well by Mrs Dover who was kindly applauded. Refreshments were handed round at intervals and a pleasant evening was spent. Keighley News December 26th 1885 page 4. The Christmas festivities have not been so freely indulged in as they probably would have been had there been more work required in the mills. Several important firms are now only very slack and in consequence short time has had to be resorted to. The Silsden Brass Band has again cheered the hearts of the villagers by their merry Christmas strains. They appeared for the first time in their new uniforms, coats and hats. The coats are dark grey with gilded buttons and of a military style. The hats are of brown felt. Queen Victoria’s Jubilee Year 1887. Silsden Brass Band Annual Supper. The members of this band had their annual supper on Saturday evening in the Primitive Methodist School-room. Each member had the privilege of asking a friend. There were also a few friends invited by the band, and consequently about a hundred pesons sat down to an excellent knife and fork tea. After the cloth had been removed they repaired to the Mechanics Institute to hold an evenings’ entertainment. Mr E Newton – bandmaster presided. The younger portion of those present enjoyed themselves with dancing. The Chairman called upon Mr John Driver to give a short address, but he declined on the ground of it not being an opportune time for speech making. Yet he warmly congratulated the band on the success they had achieved in becoming so proficient in so short a time, and also on their sober and respectable habits, which had done much to make them so much respected in the village, and he proposed the thanks of the meeting to the band, which was seconded by Mr J. J. Booth and responded to by Mr Newton. Songs were also sung and other amusements indulged in, to the great enjoyment of all present. The principal event at the Whit Festival took place on Sunday when Silsden Brass Band held a Sacred Concert in Mr Taylor’s field. The band played through the village to the field in the afternoon where a large number of persons to hear the performance notwithstanding the cold winds prevailing at the time. The concert commenced by the performance of a selection from ‘Judas Maccabaus’ which was exceedingly well played, the bass part being heard to great advantage. Then followed a selection ‘Mass in A’ (Kalliwader) which was played with great credit. A selection from ‘The Creation’ was highly appreciated as also one from ‘St Paul’, though it was of the opinion of the musicians present that these performances deserved the highest praise, it was generally felt that the performance of the selection from ‘The Messiah’ crowned all previous efforts, their being a sweetness and distinctiveness about this effort which was perceptible and which claimed the attention of all, showing the careful training which the band had received from their respected conductor Mr Edward Newton. The effort raised £14 for the local hospital fund. Silsden Brass Band took part in the Keighley celebrations with five other bands. These were Skipton, Wilsden, Yeadon, Haworth and Keighley Military Reed Band. Keighley News 25th June 1887. Silsden Brass Band In Steeton Jubilee Celebrations. Saturday last must be pronounced an undoubted success. From the top of the New Jubilee Tower overlooking the village streamed The Royal Standard, and across the road at Dam Top some enthusiastic residents had stretched a fine line of banners and evergreen in honour of the event. Early in the afternoon was heard the stirring music of the Silsden Prize Band. All the school children of the village received Jubilee medals and the band then played The National Anthem. A band stand was erected near the flag staff and here throughout the evening all lovers of good music enjoyed a rare treat in listening to the sweet strains of the Silsden Band. Keighley News October 29th 1887. The Silsden Brass Band held their annual concert on Saturday evening in the Primitive Methodist School Room. Miss Emilie Norton of Bradford Concerts, Mr Tom Black of Leeds and Mr D Cooper of Llandudno were engaged for the vocal part of the performance. The band performed the following selection – ‘Il Flauto Magico’, grand extravaganza, ‘The Derby Day’ selection, ‘Lucia di Lammermoor’ and a Walse, ‘Farewell To Thee’. These pieces were well played though it would have been better if the first piece had been left out and thus allowed rather more time for the latter pieces, which were well received. Mr Cooper had a good recitation. He gave the following songs – ‘Plymouth sound’, ‘Saved By A Child’, ‘At The Eastern Gate’ and ‘My Friend’. In response to an encore he gave Mr Newton’s new song ‘For Fifty Years Her Light Hath Beamed’. The above concert was performed in Queen Victoria’s Jubilee Year and the song written by Mr Newton was written for the Queen, two copies of this music were accepted by her. Keighley News November 3rd 1888. It appears from the November issue of the British Bandsman that an enquiry has been made in a previous issue ‘what marches are the most popular with the brass bands in the country’ The result of the voting on the question shows that Mr Edward Newton’s popular march ‘Achilles’ stand sixth on the list, we think that this is an honour to Mr Newton. A Compliment to the Silsden Band and their Conductor. Keighley News October 6th 1894. The ‘Brass Band News’ of October 1st comments on the common fault of overblowing and suggests that some judges are apt to pay more attention to quantity than quality. In connection with the recent Brass Band Contest at Belle Vue the following paragraphs appear:- “Look at the contest band on the stage at any contest Belle Vue for instance. See how they blow on a FF passage. They blow until their faces look one mass of knots, the veins in their necks stand out as if they were being suffocated and all look as ugly as possible. Indeed we have often thought that if a photo could be taken of a band when they were blowing like this it would completely cure them of overblowing. We know it is not an easy matter to say what is overblowing when it is not too palpable, yet it is easy to tell when the tone is strained and forced unnaturally, but this is constantly overlooked if the execution be brilliant. We remember hearing a band conducted by Mr Edward Newton, the well- known composer and arranger of brass band music, compete in a contest many years ago. It was the most musical performance of the day, and it was laughed at! ‘Sounds like a quartet’ ‘Got no Tone’. We admit it was not a dramatic performance but it was tuneful and smooth from first to last and none of the others were. Of course it did not get a prize”. The final part of the article refers to the Silsden Brass Band and Mr Newton their esteemed conductor, and therefore will possess some interest for Silsden readers. Some of Edward Newton’s brothers played in the Silsden Brass Band. His brother Samuel best known as Sammy played the euphonium for many years. As a young man he sometimes had a tendency to be over vigorous in the volume of his playing, this resulting in Band-Master Edward having to tell Sammy to reduce his noise level in some passages of music. Many years later when Sammy was getting on in years and perhaps past his physical best, during a band practice Edward told Sammy he needed to play a bit louder for certain parts of music. Sammy was rather irritated by this and replied “When I could blow tha wouldn’t let me, and now when I’m past it tha’s niver done nattring me”. Keighley News June 19th 1897. In the opinion of many who are well qualified to judge the band in a more efficient condition, but it is to be regretted that public support has not been forthcoming to the extent that might be desired. Hence the members of the band have decided to hold a series of Galas with a view to replenishing the exchequer. The first of these galas took place on Saturday evening in the cricket field, Silsden, when there was an encouraging attendance. Dance music was played by the band and prizes were given for throwing at wickets and goal kicking. The results being as follows. Goal Kicking, 1st Elwyn Dawson, 2nd Batty Moore. In September 1898 the band took part in the Fulham Band Contest organised by London and Home Counties Band Association. Silsden competed in the second section and the test piece was ‘Crown of Honour’.